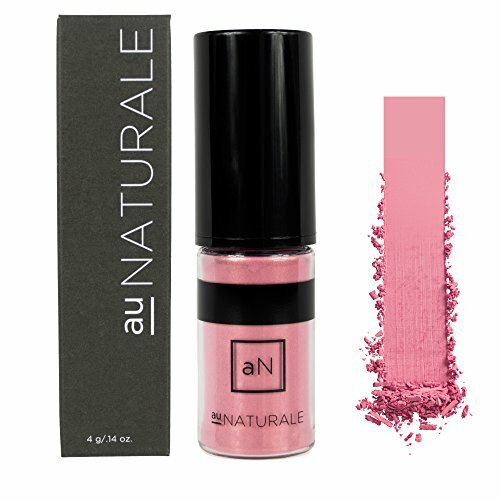 Why we love it: This powder blush from Au Naturale offers a touch of color with a seamless, air-brushed finish. This fine, mineral powder blends effortlessly for buildable, beautifully pigmented color. Each shade is created to naturally enhance the cheeks while providing a lit-from-within luminosity and glow. The pigments range from gilded apricot to rosy mauve to bright peach. Titanium Dioxide, Iron Oxides, Silica, Mica. Formulated without gluten, parabens, fillers, animal by-products, synthetic preservatives or toxins, our mineral powder blusher is 100% natural, cruelty-free, vegan and made in the USA.